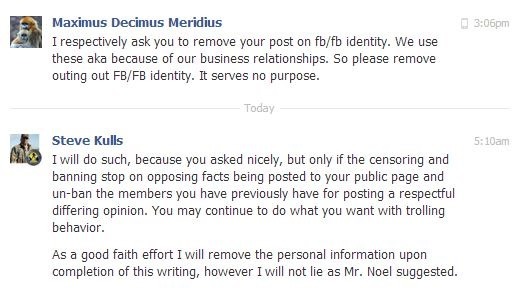 Facebook / Find Bigfoot Censoring the differing opinions and the truth. This just in from a Facebook user who belonged to the group, Facebook/Find Bigfoot. 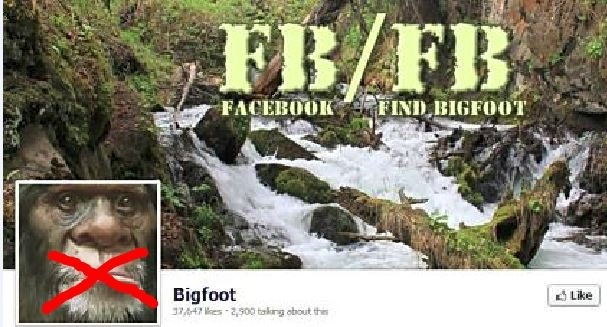 For the last three years we’ve seen some really BAD investigations (or lack there of as it is just looking at video) on some films, claiming “EVERYTHING IS A BIGFOOT,” from Facebook Find Bigfoot. They been hoaxed intentionally by children, and they taken films which have been long debunked as being a misidentification or otherwise (a hoax) and spun it like it’s a Sasquatch for all to read. Well now they have stepped over the line, by propagating a hoax by failing to put in use any sort of critical thinking or investigation and censoring differing opinions. Yes they have let some dissenting opinions on their page about it, but refuse to let factual information stand. And they seem sensitive to criticism, and the fact they are the number one source of the promotion of Dyer/Issleb claims. Apparently, FB/FB is now falling in line with censoring factual information contradictory to their agenda whilst propagating the hoax. In my eyes, that is adding to their complicity in this hoax by them. If they have an argument to the information presented, then present it. But they choose not to, because they have none. By such actions they have just chosen a side, and placed a stake in the Dyer/Issleb duo. I will be one of the first to call on for FB/FB to shut down when this turns out to be a hoax. And when it does, perhaps ole Musky and Dyer may have actually done us a favor. I can understand gullibility, I can understand naivety, but what I cannot stand is arrogance. My next guess is that Issleb will produce some “documents” in an attempt to prove he was with this wild claim he was Rene Dahinden’s apprentice. (I know that sounds a little Star Wars!) In turn FB/FB will offer this up as “proof", Issleb is telling the truth. We know better and so do the readers of this blog. 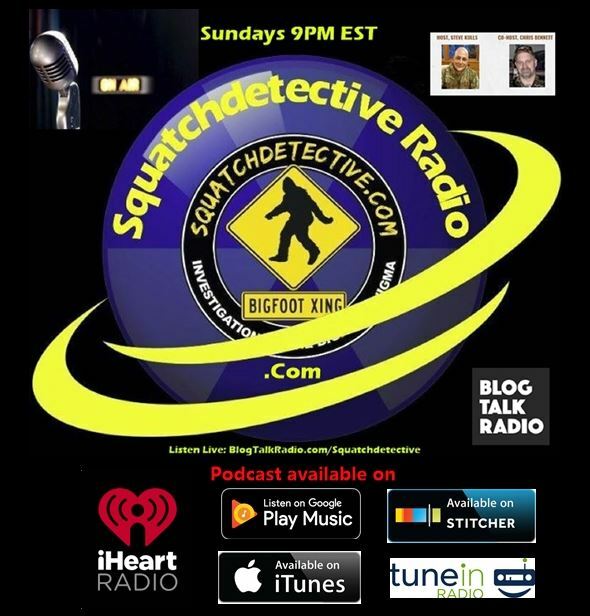 And so soon when this blows up on them FB/FB will be entered in the Squatchdetective Hall of Fame with others so cherished as Biscardi, Standing and Newton-Perry. The Hall will be getting a revamp very soon. (March-April) and will have new entries for the new folks to get their footing for footing. i dont see where working with rene dahinden is such a star on your bigfoot resume anyway. everything he believed to be true is now thought to be false by most of the bigfoot community. he went to his grave never seeing a sasquatch . he was very out spoken in his belief that sasquatch were loners and took it upon himself to call anyone who had multiple sightings a hoaxer and a liar. i.e. paul freeman.. one of the four horseman of sasquatchery indeed. I don’t know Steve, it seems kind of a slippery slope you are on. I think there are some good reasons people choose a pseudonym, and when seeing how things are done in the Bigfoot world I cannot blame them. I think you are jumping the gun a bit in my opinion. This whole thing will be played out soon enough and if the whole thing turns out how you envision, by all means proceed with the hall of shame. I appreciate the comment, however what slippery slope? They put themselves in the public, and stated their “credibility.” All we’ve had for this long is their word. Now as far as credo goes, why is it that I get an email, from them stating they respectively request, I pull the post, they see no purpose in it. I dunno, maybe accountability. When FB/FB hit the Huffington Post several weeks ago, it puts forth shoddy investigation plain and simple, because there is none. They base their opinions on what they think they see in a video, without real investigation and act like experts. Now by saying this is who they really are, we find out they are no more qualified to analyze video than anyone else. It was done to show their real qualifications, and not out of malice, nor whim. Like I’ve said I’ve know their identity for sometime. They’ve put their poker chips all in. Now you must ask yourself why they started the page, how did they get their numbers so high so quickly, hmmm? Next is the Dyer – Issleb connection. They promoted Issleb, they debated Issleb publicly. Now they are in his corner. One side originally defended every Bigfoot film, the other denied every Bigfoot film. Sounds like a soap opera to me, scripted for the masses. Let’s not forget the build up to the tent video either. And minutes after their email to me, I get a rant from Rick Dyer on my phone, about outing them. In my line of work their is no coincidence. Nope I did nothing wrong nor illegal, nor commit a tort. They put themselves out there as “experts” publicly. As far as pulling the post, I respectfully decline as well. That is being a journalist with ethics. The unfortunate thing here is FB/FB is being played, I DO NOT BELIEVE at all that they know the truth behind this. But their insistence that they are right and everyone else is wrong, and the fact that some are very much being banned from having a differing opinion, (A few more have come forward) and the statement that they’ll shut down if there is no further evidence, leads me to suspect they put all their poker chips in one pot. Plus there is more information coming forward, and the plot is crumbling as we speak.